How Do I Prevent Dog Wound Licking? Saliva has been found to contain components that actively fight infection. Veterinarians often recommend using e-collars after certain surgeries. A dog may try to lick a wound after undergoing surgery. If a dog's licking is preventing healing, the vet can provide an E collar. A bandage may prevent a dog from licking his wound, as long as he doesn't remove it. In the animal kingdom, it is instinct for many animals to lick their wounds. Dog wound licking is very common, and while it may be instinctive, it can cause problems for the dog. Though there are many myths surrounding the instinctive reasoning behind the licking of wounds, including that a dog’s saliva has antibacterial or healing properties, wound licking can interfere with the healing process and can even cause infection. A dog wound may be the result of surgical incision, injury, or a complication from simple skin irritation. Oftentimes, dogs cause their own open wounds or sores as the result of excessive biting, scratching or licking irritated areas. Dog wounds or sores that appear as a result of irritation are commonly referred to as "hot spots." 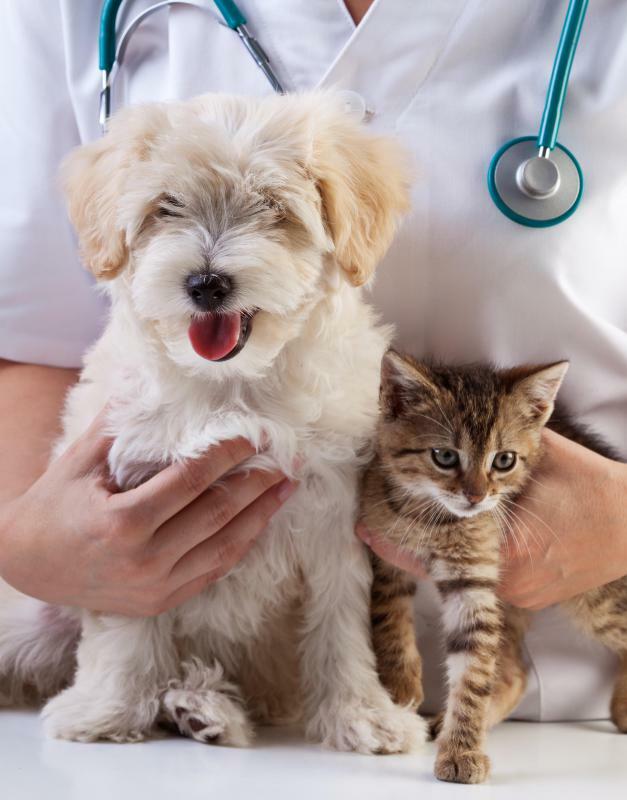 A hot spot is a skin infection that develops quickly and is typically the result of some type of skin irritation, whether due to inadequate grooming, fleas, mites, or other skin irritant. Licking and biting are a frequent symptom of hot spots and actually perpetuates a cycle, making the wound slow to heal. 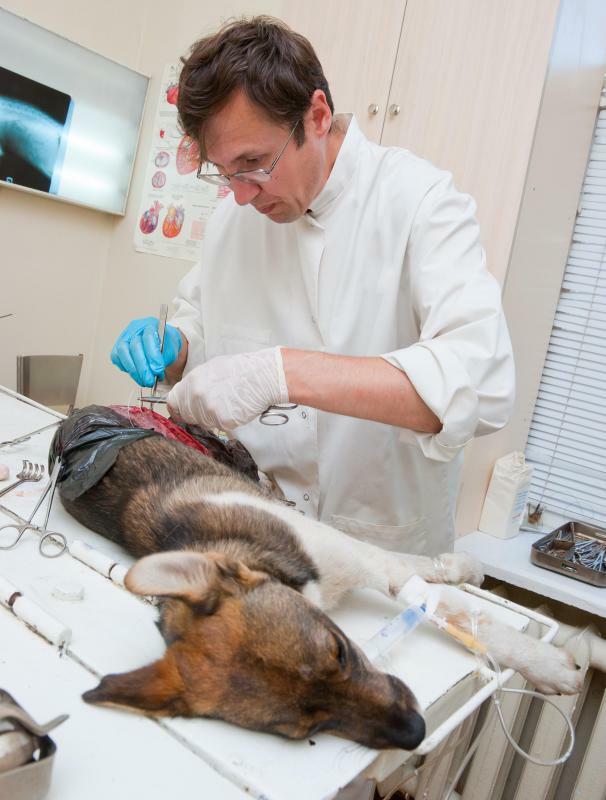 Whether a dog wound is the result of surgery, injury, or irritation, the most important thing to do once a wound has been stitched or bleeding staunched, is to prevent infection. Certain prescription or over-the-counter medications may be necessary to reduce itching and prevent infection, but it is also important to keep the wound clean and to prevent dog wound licking. If a bandage can be applied, this will help prevent the dog from licking or biting, but odds are they will merely tear the bandage off. As a result, one of the most effective ways to prevent dog wound licking is the use of an Elizabethan collar. An Elizabethan collar, also known as an e-collar or dog cone, is a veterinarian apparatus that is worn around the dog’s neck and literally obstructs the head from reaching other parts of the body. 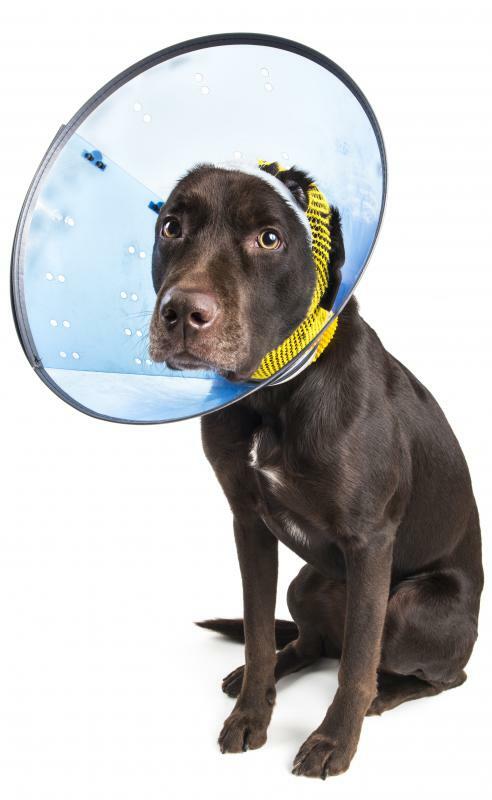 Designed like a high and wide collar, with an appearance similar to a satellite dish, the e-collar acts as a barrier between the dog’s head and the other parts of the body, rendering them unable to lick or bite. By preventing dog wound licking, the wound itself is left to heal without added moisture, irritation, and germs. Veterinarians often recommend e-collars to prevent dog wound licking after surgeries such as spaying and neutering, as well as following any procedure that may require stitches. Similarly, groomers and veterinarians will also recommend an e-collar during treatment of hot spots. While these devices may be slightly annoying to the dog, especially when sleeping or eating, they do not actually interfere with required daily activities and the successful prevention of wound licking will help facilitate the healing process and minimize the risk of costly and potentially dangerous infections. Collars and cones can be purchased at most pet supply retailers and may also be available from your dog's veterinarian. What Is a Spay Incision? 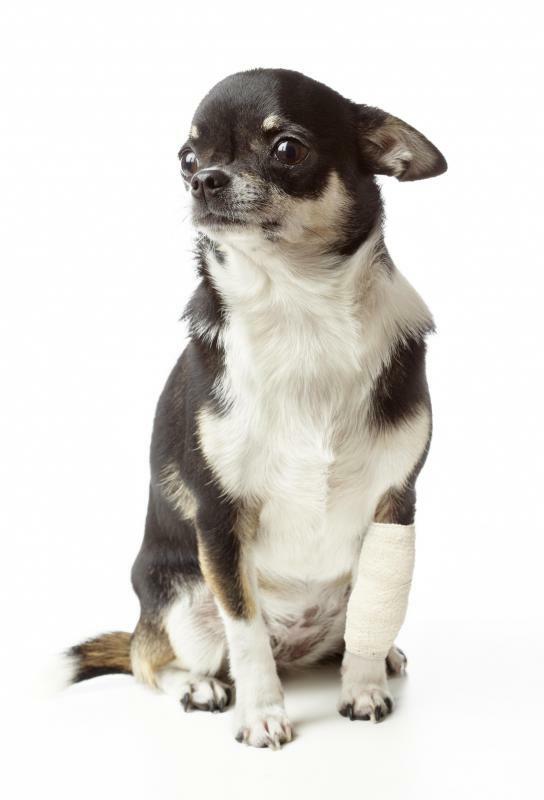 How Do I Choose the Best Dog Bandage? How Do I Treat Cat Wounds? How Do I Treat a Dog Wound? 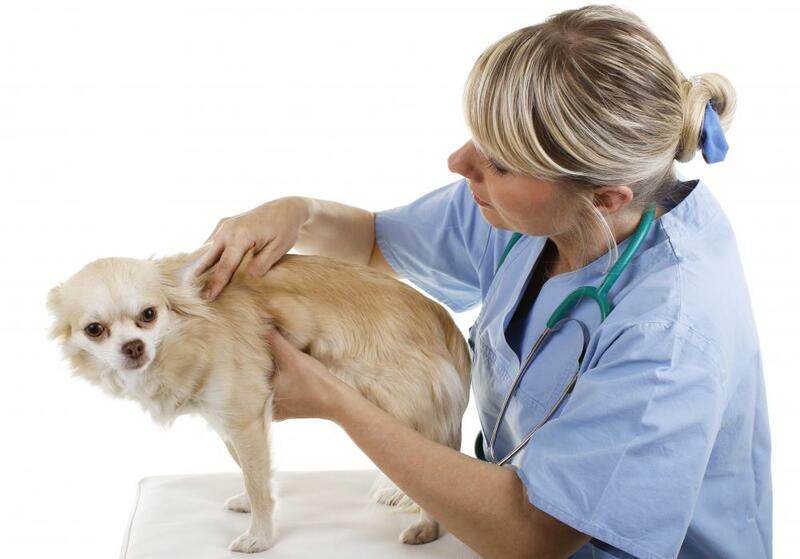 How Do I Choose the Best Animal Wound Spray? What Are the Uses of Aloe Vera for Dogs? It is still made by a company called Farnam and is called Wound-Kote. It dries to a purple color and is supposed to say on the wound for quite a long time. But is it recommended because it is resistant to licking and washing or because it tastes horrible? Sometimes those Elizabethan collars don't work. Have you ever seen a determined dog get out of one of those things? That is some trick, but it has been known to happen. There also used to be a spray that was used to coat wounds and did a couple of things. It relieved burning, itching and general pain and tasted horrible so the dog would avoid licking it. Can't remember the name of the substance, but your vet probably will (if it is still made).